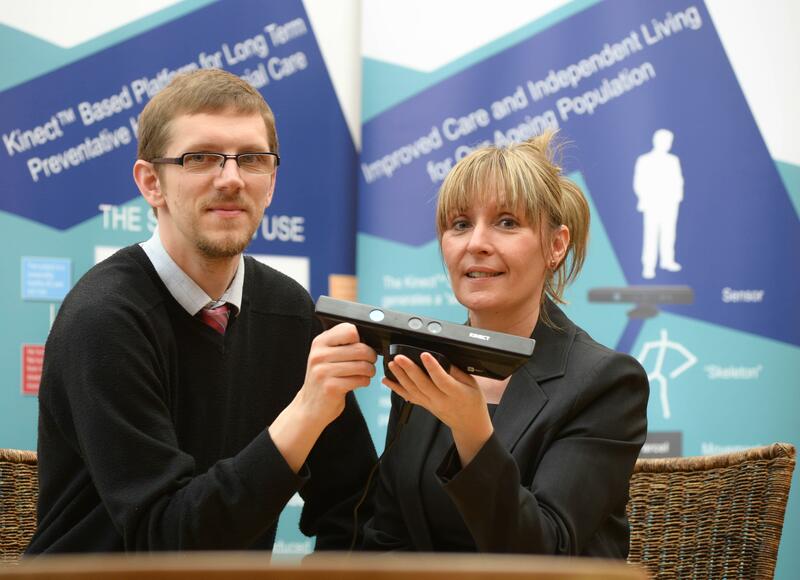 A sensor which raises the alarm if older people fall or have mobility problems is being developed by a business at the University of Warwick Science Park. Engineering consulting company and specialists in complex simulation, EnginSoft UK, which is based at the University of Warwick’s Venture Centre in Sir William Lyons Road, Coventry, is working with Cranfield University on an initiative led by the Birmingham-based charity Housing & Care 21 to develop the Microsoft Kinect sensor for long-term preventative health and social care. The Intelligent Preventative Healthcare Solution, which is supported by the Technology Strategy Board, is fitted in a lounge and captures the usual movements of each person, meaning the software sets off a trigger in the office of nursing staff if older people fall or start walking more slowly. This means carers can call for medical help if necessary and it is designed to help the UK’s ageing population live independently for longer. Caren Vay, of EnginSoft UK, said many elderly people want to maintain their independence and don’t want to feel they can’t look after themselves either at home or in a care home. “The Microsoft Kinect sensor – which is similar to technology used by an Xbox – captures a ‘skeleton’ which represents the motion of each person’s limbs to give a record of movement every day which means the data can identify significant incidents and long-term trends,” she said. “The monitoring software identifies specific activities which it has been trained to detect so alerts are raised if someone falls or changes their walking speeds over time which can signify a potential health problem.